Tickets go on general sale 10am on Friday, December 12th. Order yours on 0871 2200 260 or 0871 230 6230 or online at www.gigsandtours.com. Support on all dates comes from Doll & The Kicks. June 15 (Weds) PERTH City Hall (Scotland) : support group FLATS. June 17 (Friday) INVERNESS Ironworks (Scotland) : support group FLATS. June 18 (Saturday) DUNOON Queens Hall (Scotland) : support group FLATS. June 20 (Monday) DUNFERMLINE Alhambra Theater (Scotland): support group BROTHER. June 21 (Tuesday) HAWICK City Hall (Scotland) : support group BROTHER. June 24 (Friday) GRIMSBY Auditorium (England) : support group FLATS. June 25 (Saturday) YORK Barbican (England) : support group MONA. June 27 (Monday) BRADFORD St George's Hall (England) : support group MONA. June 30 (Thursday) CHELTENHAM Centaur (England) : support group MONA. 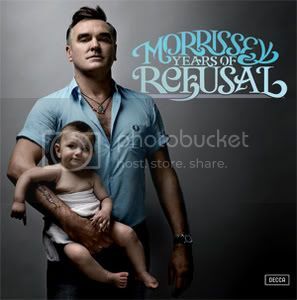 Years of Refusal - the new studio album from Morrissey - will be released on February 16th, 2009. The single I'm Throwing My Arms Around Paris, will be released on February 9th, supported by two new songs Because Of My Poor Education and Shame Is The Name, the latter featuring additional vocals by Chrissie Hynde. Last edited by driver8; 10-12-2008 at 10:30. This was Jerry Finn's final record, wasn't it? A real pity he's gone. 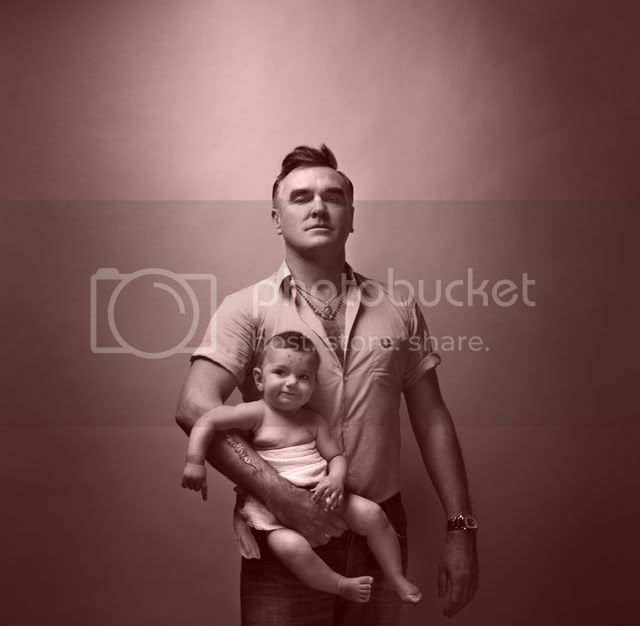 Not as interested in Moz as I once was, but will pick up the album regardless. Managed to nab standing tickets for Royal Albert Hall date when they went on sale so am looking forward to that. This was Jerry Finn's final record, wasn't it? A real pity he's gone. I never knew that. He oversaw some really important albums - albeit from a pretty narrow genre. You look at his career - http://en.wikipedia.org/wiki/Jerry_Finn - and you wonder how the Moz gig came about. Just got some tix for his Great Yarmouth show.....can't actually believe he is playing there! My mate managed to bagged tickets for standing at the RAH last week, and I picked up Salisbury standing today, so should be a good couple of weeks in May. I like that cover. I'd be tempted to go and see him again but it wasn't all that long ago I saw him last. What's that on his arm? Last edited by DM; 12-12-2008 at 23:07. Gays are allowed to adopt now you know. Well? Still rocking, a great hat trick to the comeback king. Bliss. Must pop round to Zavvi later and see if they've got it. It's out February 16th, but was leaked a couple of weeks back. It's not bad at all, very much in the same vein as the last two releases. One Day Goodbye Will Be Farewell is the highlight for me - cracking song!